This is a Spotted Goatfish about 8 inches. Photo by Rod 23 Feb 2008 in about 25 feet water. 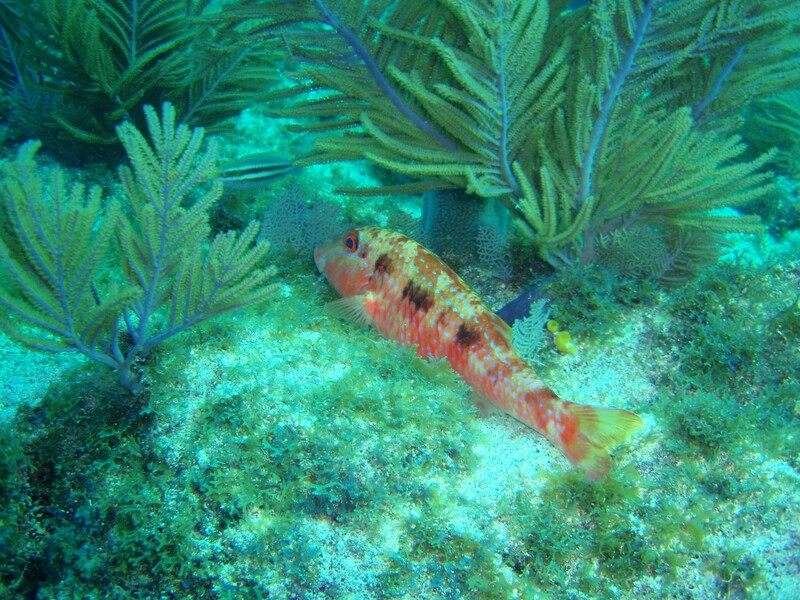 Location was Midreef, The Elbow; Key Largo. 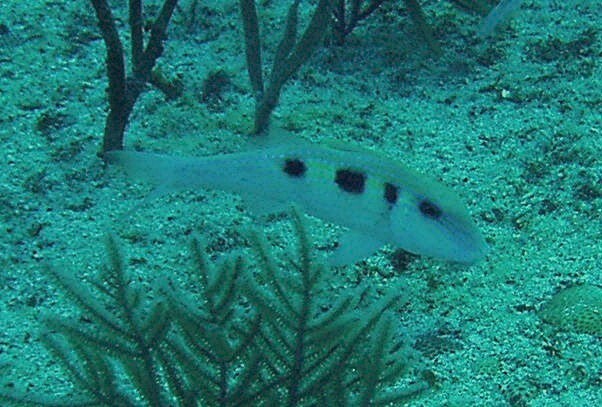 This is a Spotted Goatfish about 6 inches. Photo by Rod 08 Mar 04 in about 20 feet water.